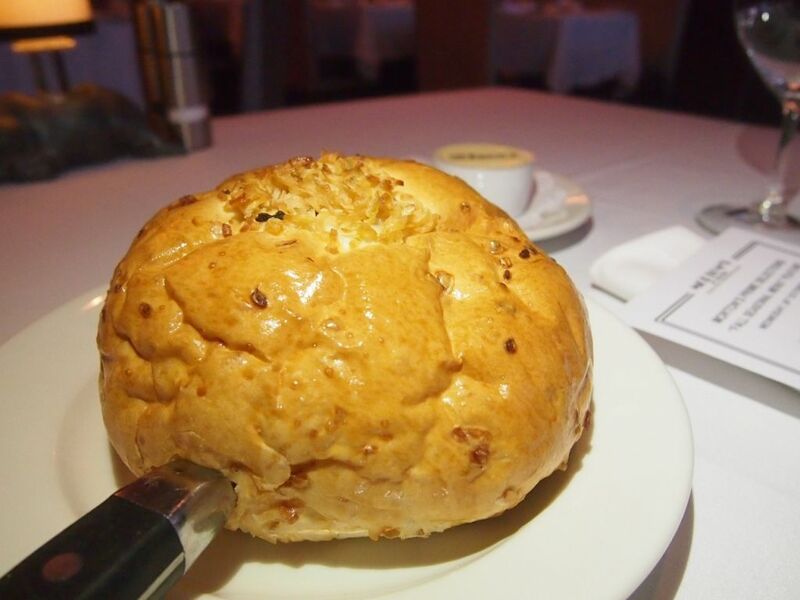 An all-new seasonal menu has been rolled out at Morton's of Chicago to welcome fall. 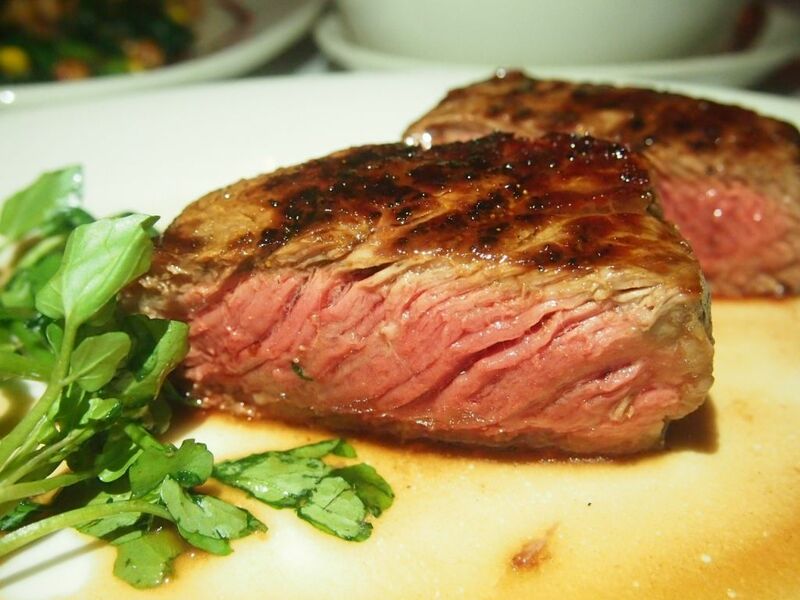 Located on the fourth level of Mandarin Oriental Hotel, Morton's is undoubtedly one of the most, if not the most, popular steakhouses in Singapore. 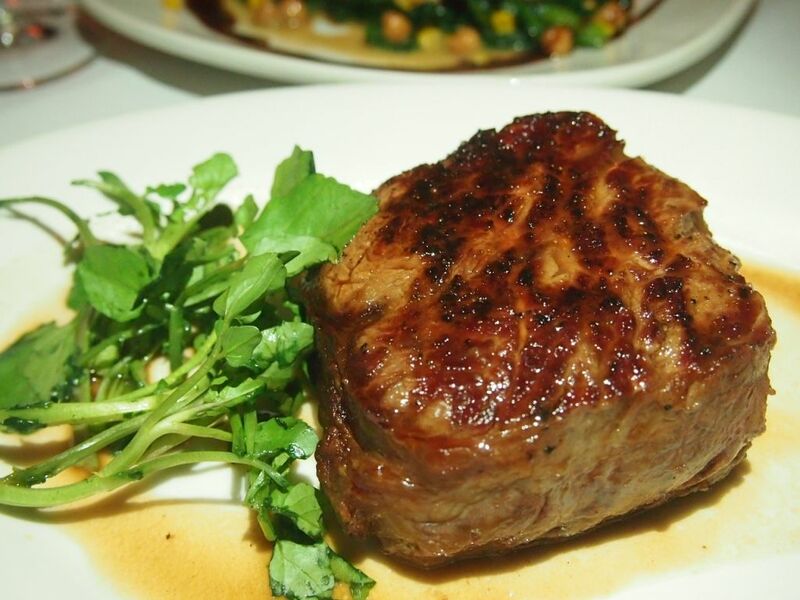 Known for top quality steaks and exceptional service, Morton's proves to be consistent in both food and service as my second visit to the well-loved steakhouse was nothing short of amazing too. 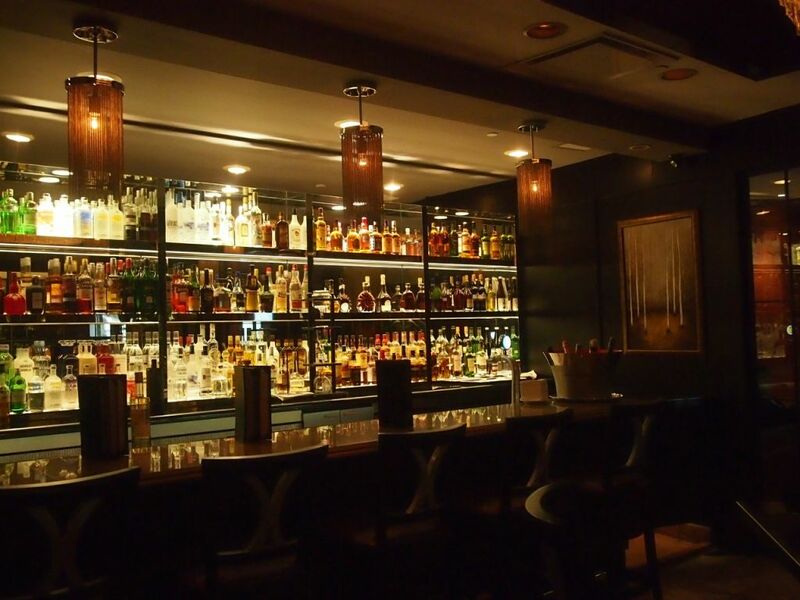 Morton's has a crazy list of carefully crafted cocktails. From fruity and floral flavours to concoctions that will please even the toughest critics, there is truly something for everyone here. 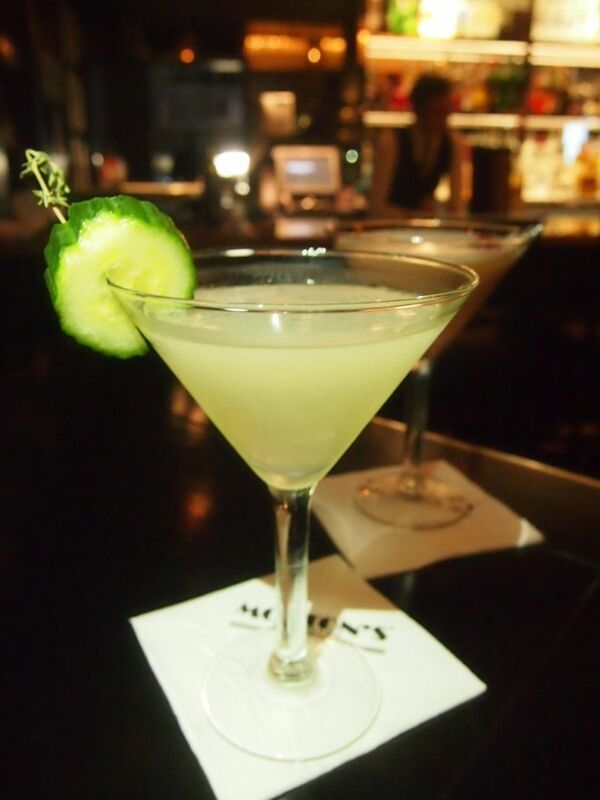 Besides being renowned for their steaks, Morton's is also awfully famous for their Mortini Nights that run from Mondays to Saturdays, 5pm - 7pm. 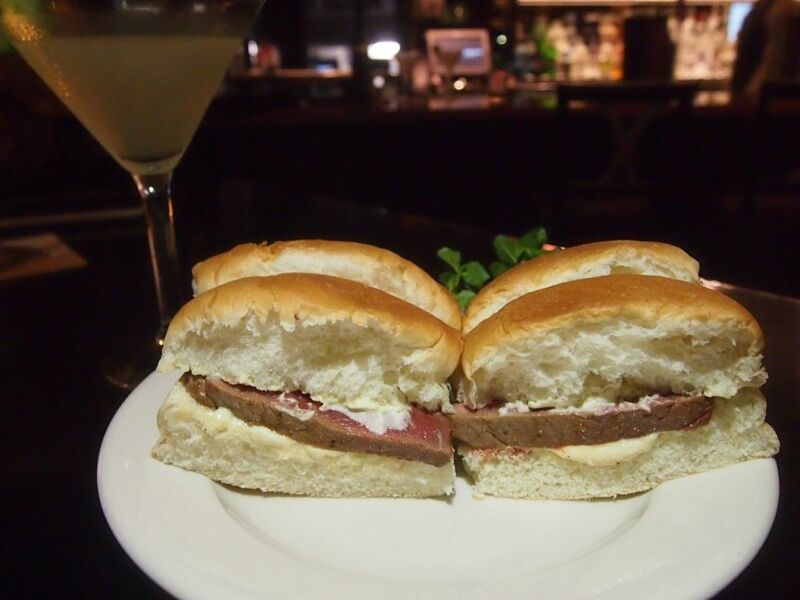 Grab a martini cocktail at just $15.95 and munch on the complimentary Filet Mignon sandwiches that you won't be able to get enough of. Warm onion bread and butter! I ate too much of it again. Bread is truly my most deadly weakness. What a way to start the meal! 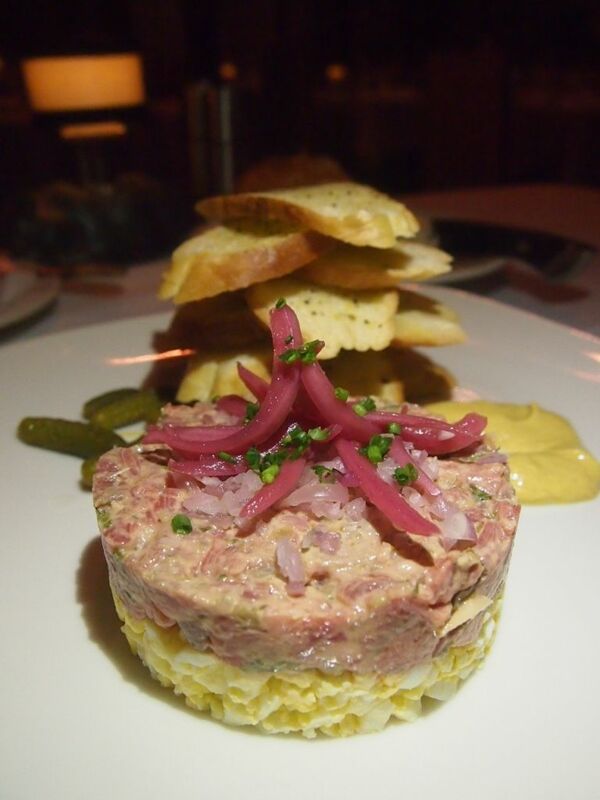 I have had numerous steak tartares before but none enthralled me like the Prime Steak Tartare ($33) at Morton's. The perfectly seasoned beef tenderloin tartare was paired with pickled red onions, Dijon mustard and cornichons which accentuated the flavours of the tenderloin with their sharp and bright notes. In place of the usual raw egg yolk is a bed of chopped hard boiled eggs that balanced out the tastiness of the entire dish. I couldn't stop going on and go about how good it was. The solid creation was a literal party in my mouth. I enjoyed it with the toasted baguette but I really preferred chomping on huge mouthfuls of the mix. Despite multiple warnings from my dining partner to save my stomach for the dishes to come, I cleaned the plate. So good, so good. 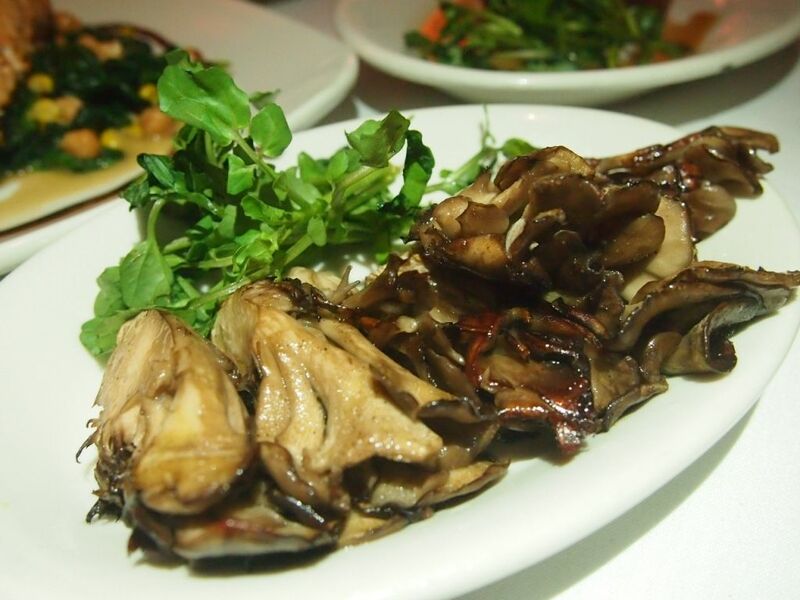 Packed with earthy flavours, the Roasted Hen of the Woods Mushroom ($23) were delightfully crunchy and juicy. While I found the dish to be less palatable than the rest, the mushrooms actually is a great side that complements the star of the night, the American Wagyu steak. 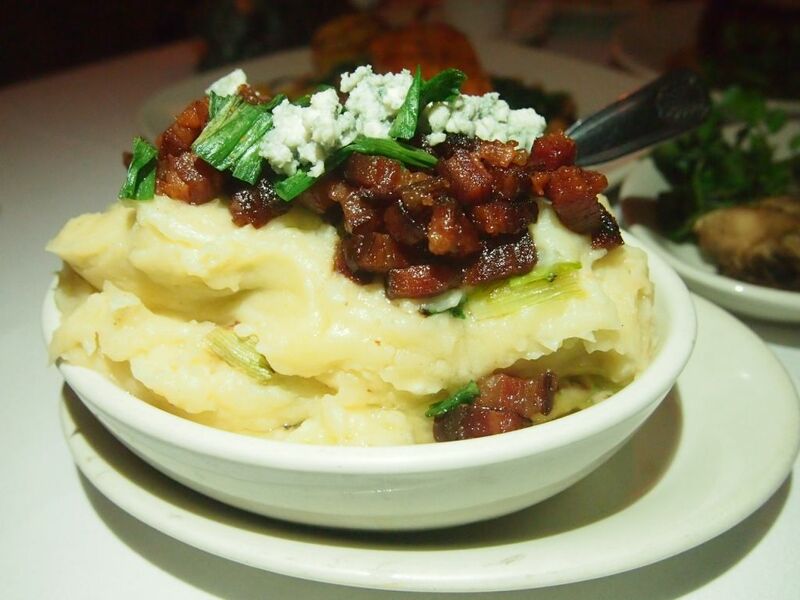 Potato is my one true love and I was so happy to learn that I would be having the Morton’s Blue Cheese Mashed Potatoes with Nueske’s Bacon ($28). While I am not a fan of blue cheese, or cheeses in general, I have to say that this dish was done up skillfully as the blue cheese never threatened to overwhelm. I have to admit that I was initially afraid of trying it, fearing that the presence of cheese would be too overpowering. Thankfully, it wasn't at all. You can always detect the unmistakable taste of cheese but it just melded so well with the potato and the irresistible bacon! 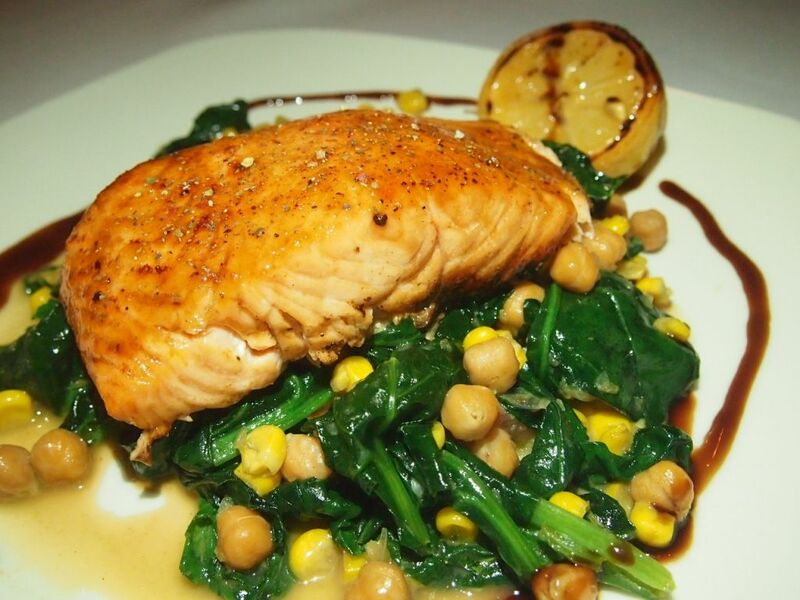 The Honey-Balsamic Glazed Salmon ($65) is not part of the fall menu but we had the opportunity to try it too. I actually wanted the salmon to be a little rare, so that it is pink and soft in the middle but my dining partner wanted it to be completely cooked. The completely cooked salmon was a little too dry and tough for my liking but there's no denying the distinct sweetness present in it. I also took a particular liking to the sweet and tangy honey balsamic glaze. I have a feeling that the salmon would be faultless if we wanted it to be cooked just three quarters of the way through. The highlight of the night, as anticipated, is the 10oz American Wagyu Ribeye Steak($118). The American Wagyu is sourced from Snake River Farms, a ranch in America hailed for using traditional Japanese feeding methods. The buttery texture and immaculate succulence of the thick cut is the result of intense marbling. Every bite is disarmingly delicious. 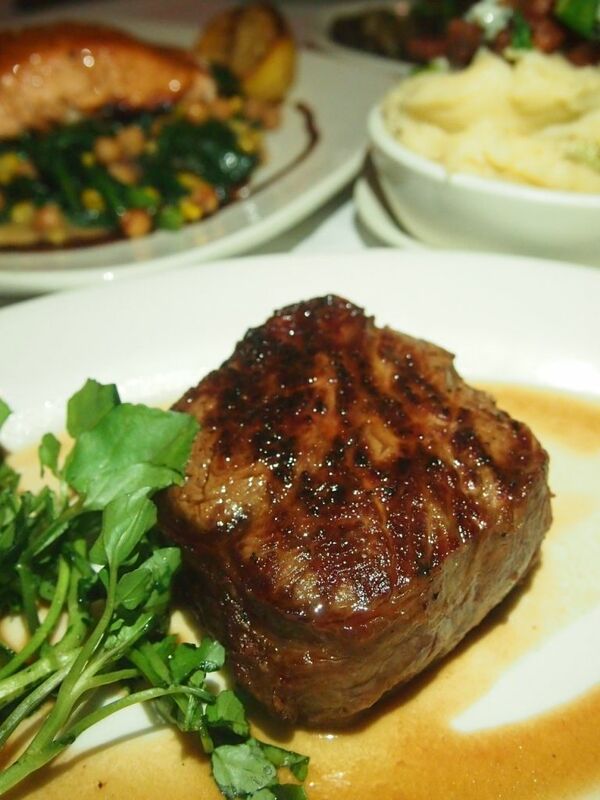 Don't be surprised if you find yourself closing your eyes and grinning instinctively while relishing the incredible steak. The best things in life tend to have that effect on us all. And trust me, you will take your time to savour each and every bite. It is just so precious, so exquisite, so remarkable. When you have top grade beef executed this flawlessly, there is no need for accompanying sauces at all. Just enjoy that beautiful slab of excellence in all its natural glory. Simply sublime. When I first heard what we were having for dessert, I gasped. I think my heart might have skipped a beat. 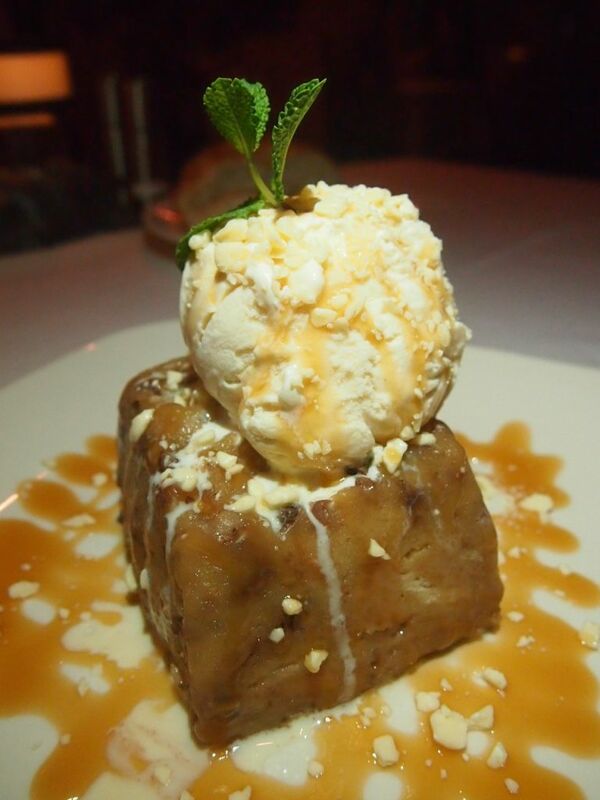 White Chocolate Pecan Bread Pudding? That's like music to my ears. The classic bread pudding has been transformed magically into an enchanting dessert that is studded generously with white chocolate chips and pecans. Complete with warm bourbon caramel sauce, Haagen Dazs vanilla icecream and gentle sprinklings of white chocolate confetti, the soft bread pudding surprisingly wasn't a heavy dessert. Although we were so full that we almost couldn't walk, we still finished a really healthy portion of it. I mean, how could we not? It's awesome! As expected, my evening at Morton's was beyond marvelous. Food was splendid and so was service. We also had two glasses of wine which went really well with all the dishes that we had. There are more than 200 international labels on the wine list and there's certainly something that will tickle your fancy. If you are looking at wine options that would elevate the fall flavours, just ask for recommendations from the very warm and attentive crew! So did you pay for this? Or its just another free-loader sessiong?